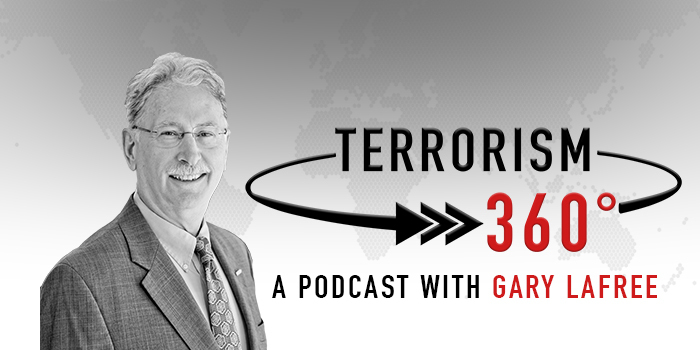 START's new podcast series, Terrorism 360, features scholars shaping the study of terrorism and the creation of counterterrorism policy. Listen now. Through a new self-paced, online training, practitioners and civic actors can gain a better understanding of radicalization to violence and violent extremism in the United States. Use the Influencing Violent Extremist Organizations Knowledge Matrix known as IVEO to see 83 different hypotheses. Access and search START's Global Terrorism Database (GTD), which includes more than 150,000 terrorist events worldwide from 1970 through 2015.